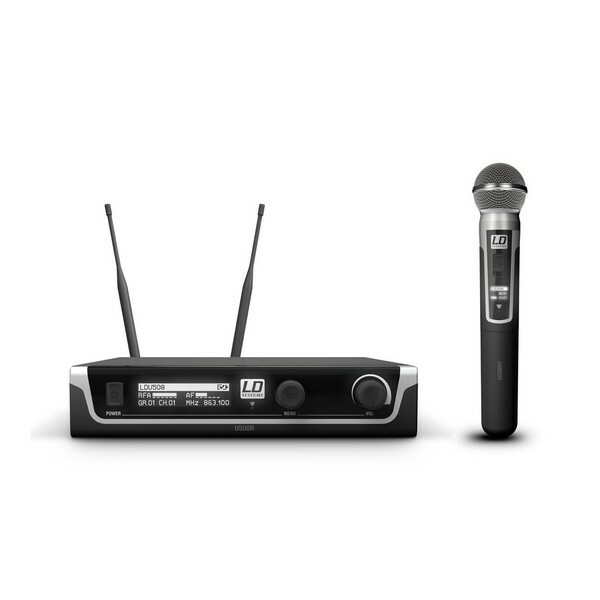 The LD Systems HHD Single Handheld Dynamic Mic Wireless System, is a complete wireless audio solution, designed for professional vocal and speech applications. 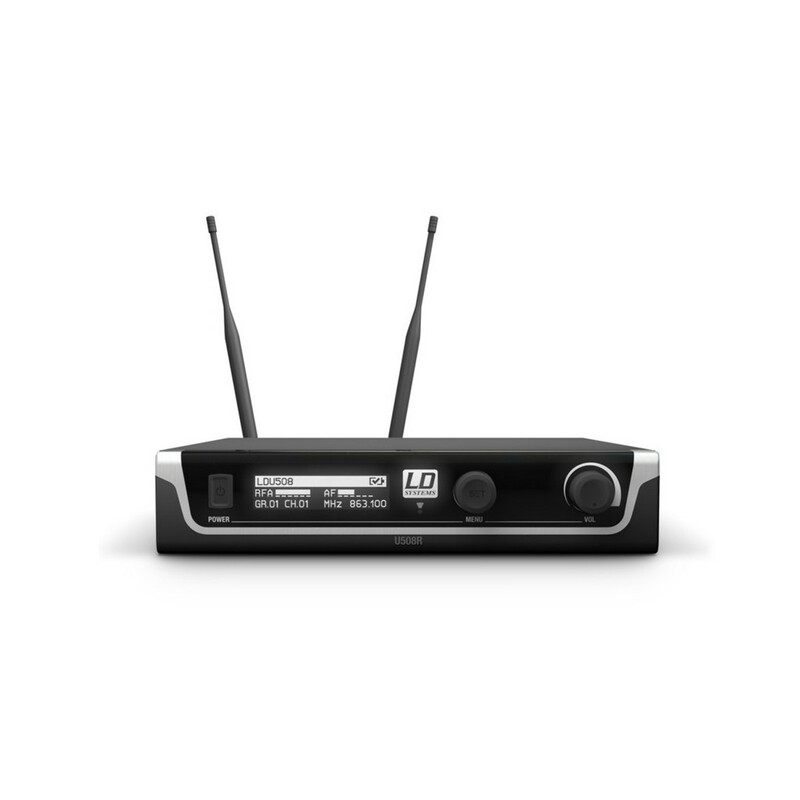 The True Diversity wireless system features an automatic scan function which finds the best free frequency whilst setup between transmitter and receiver is made simple with one-touch syncing. 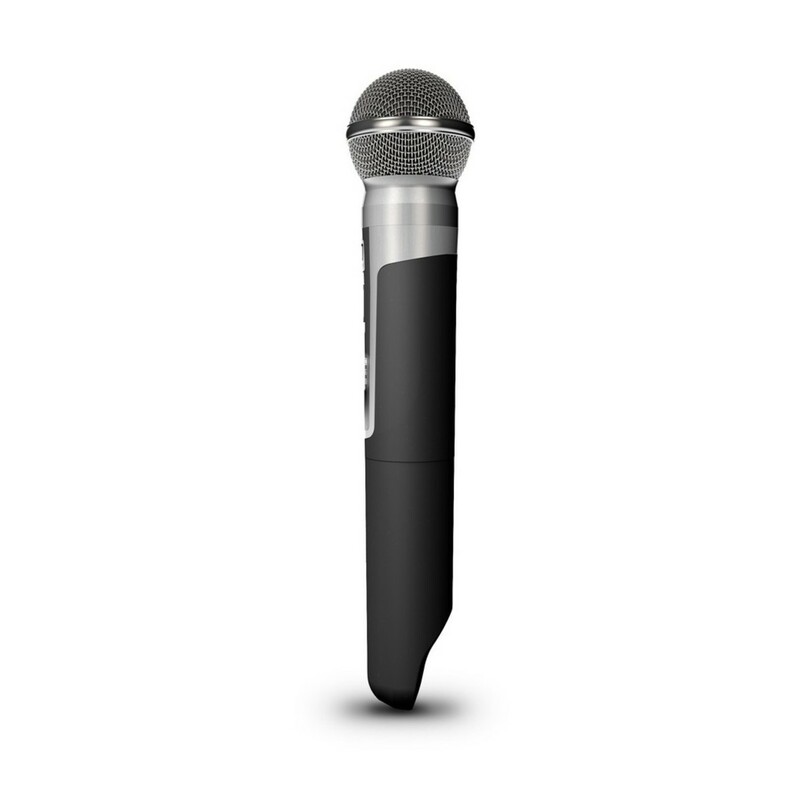 A cardioid polar pattern ensures high feedback resistance and the foam windscreen reduces interfering wind and breath noise. 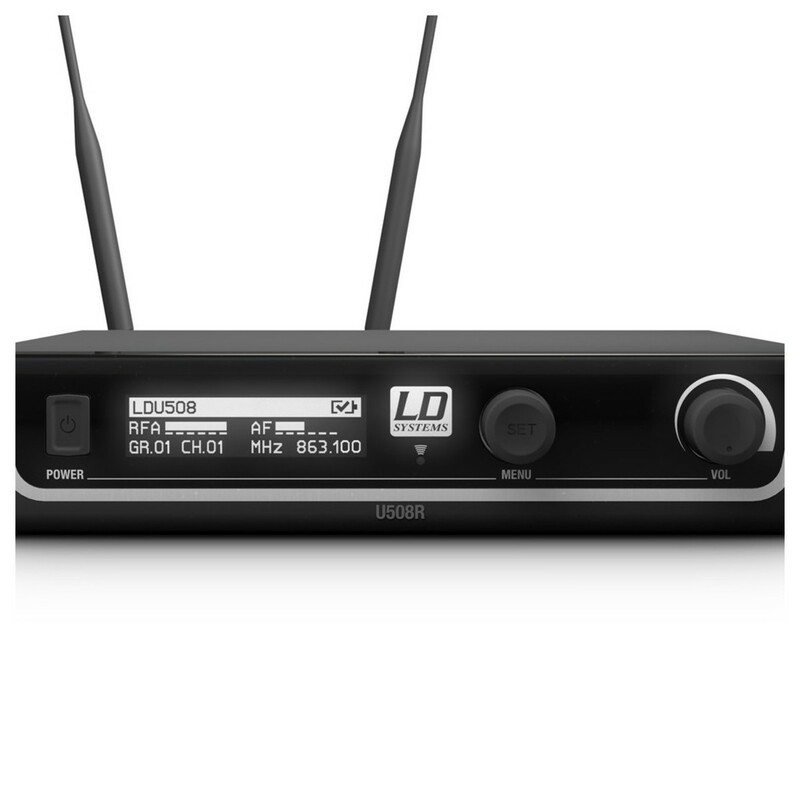 An OLED display allows for easy system monitoring with group, channel, signal and battery statuses and a squelch function ensures fail-safe operation. 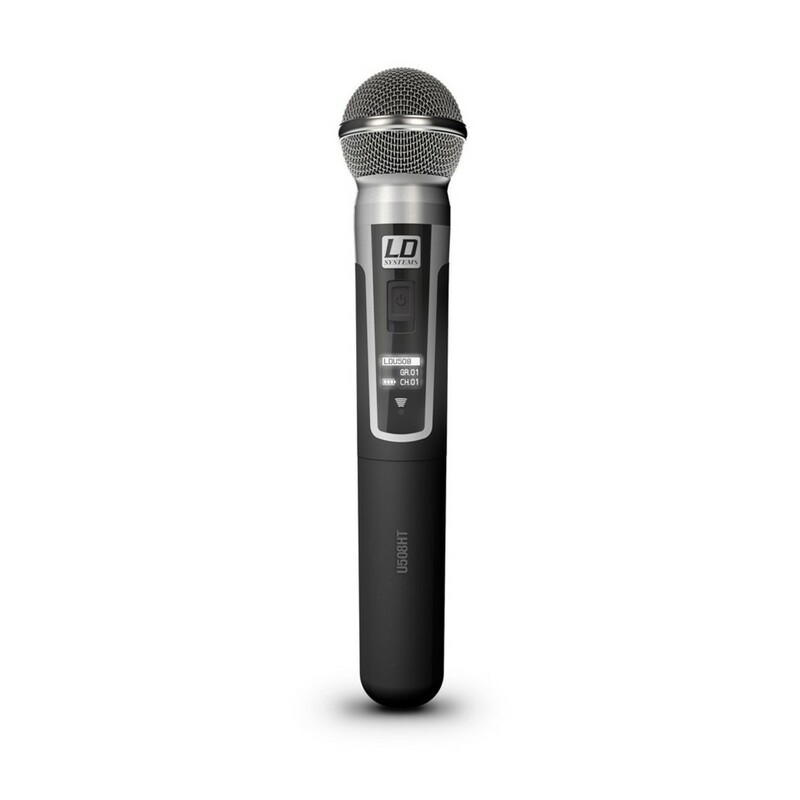 The LD Systems HHD Single Handheld Dynamic Mic Wireless System features excellent noise rejection and consistent audio fidelity. 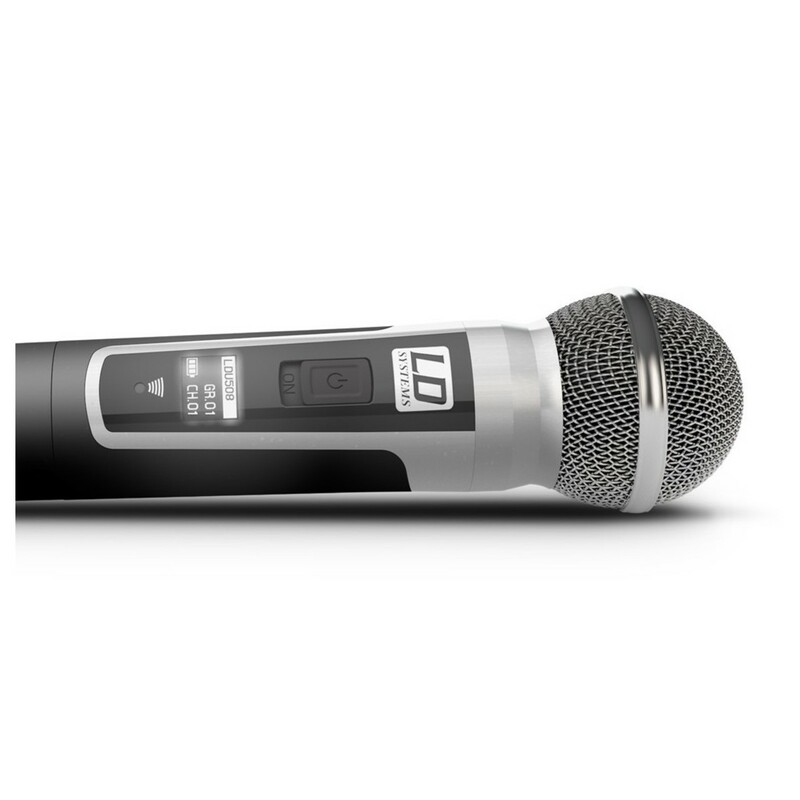 The System includes an inaudible pilot tone which helps keep a strong connection between transmitter and receiver, whilst the cardiod polar pattern on the microphones rejects extraneous noise from unwanted sources. 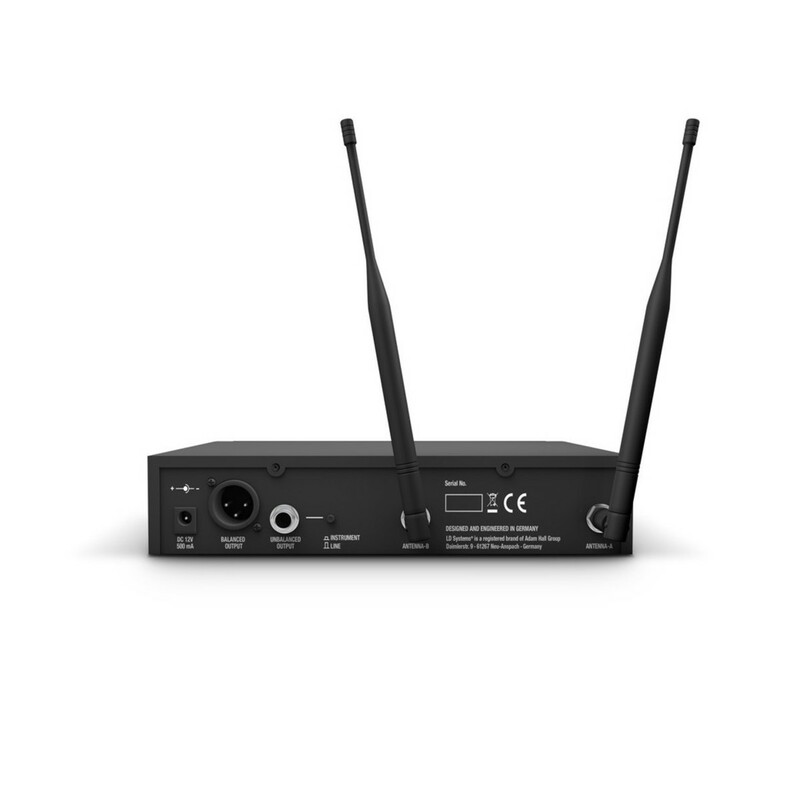 The squelch function also helps to eliminate unwanted noise and improve signal isolation even further. The 30 - 16000 Hz frequency range and convenient handheld microphone makes the LD Systems HHD ideal for voice applications.